60" round glass table top can be used as a table cover to protect surface of an existing table, patio table, or other furniture. It can be placed on a pedestal to create an instant large glass table. The tempered option can be used both indoors and outdoors. This product ships to the 48 contiguous states only. Freight Service (Curbside Delivery) provides delivery made to the curb at the end of your driveway. It is not the driver's responsibility to bring freight into house, garage, etc. Drivers do not assist with unpacking, set-up or clean-up. Ships via freight service. 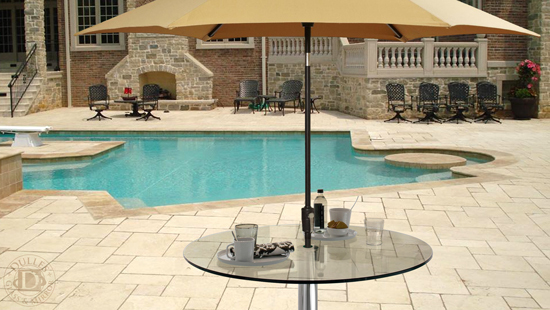 The Center Hole option comes with a 2" umbrella hole, pre-drilled and seamed, which can hold an umbrella. 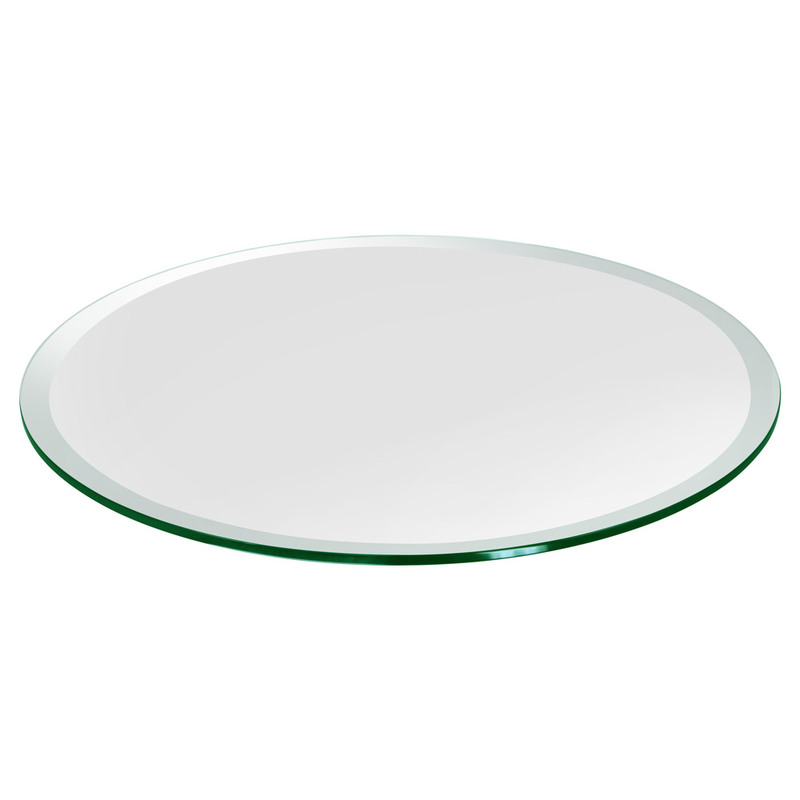 The edges of the glass are flat polished to provide a smooth finish. The glass table top compliments any base made of glass, wood, metal or any other material. To increase the strength and safety of the glass, it is tempered. This ships via UPS. 1/2" Glass Thickness is normally used when there is a pedestal table and the extra thickness lends to the durability. 1" Beveled Polish: In this application the edges of the glass are cut and polished in an angle with 1" bevel width. This process leaves the glass thinner around the edges and thicker in the center. This is normally used in places where the glass is a focal point in the room. 60" 60" 60" 60" 60" 60"
1/4" 1/4" 1/2" 3/8" 1/2" 1/4"